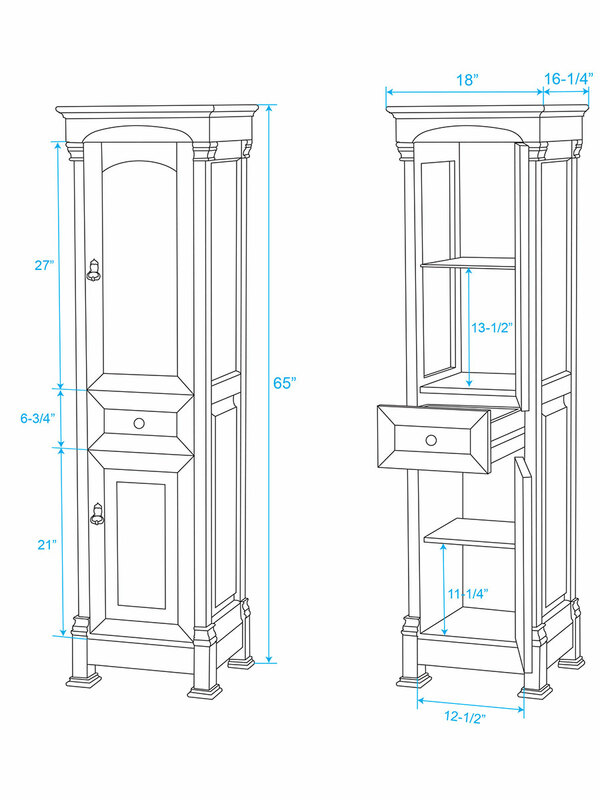 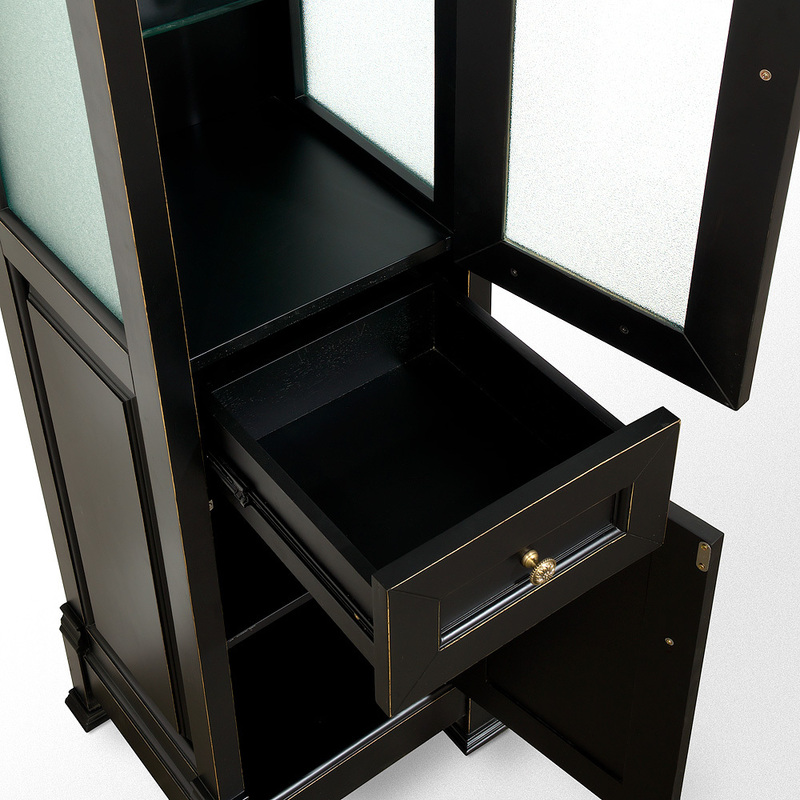 Featuring a glassed top cabinet, along with a lower cabinet and pull-out drawer, the Andover Linen Cabinet makes a highly functional, yet stylish addition to any bathroom. 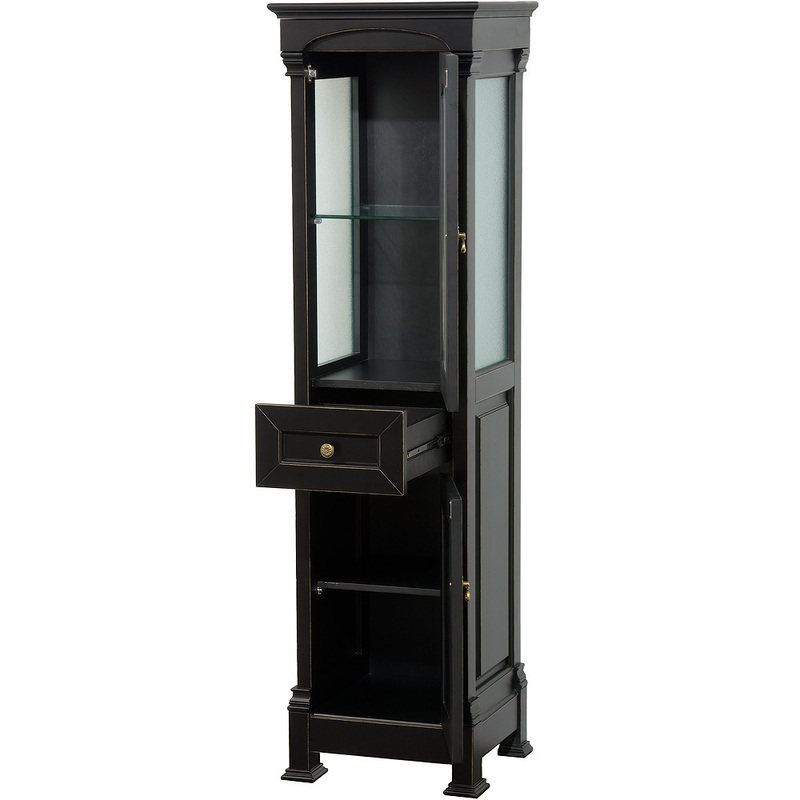 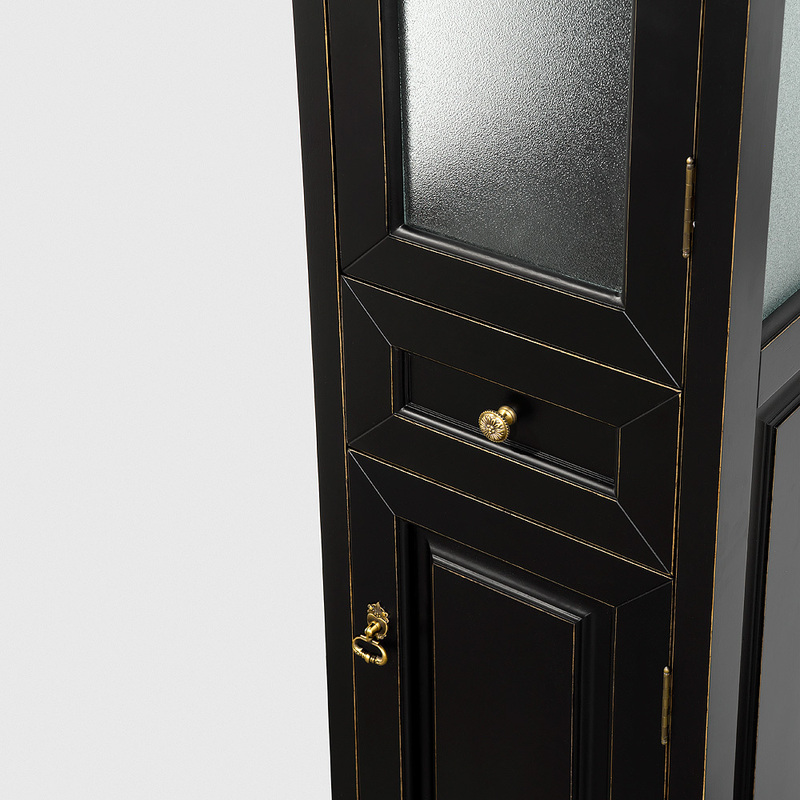 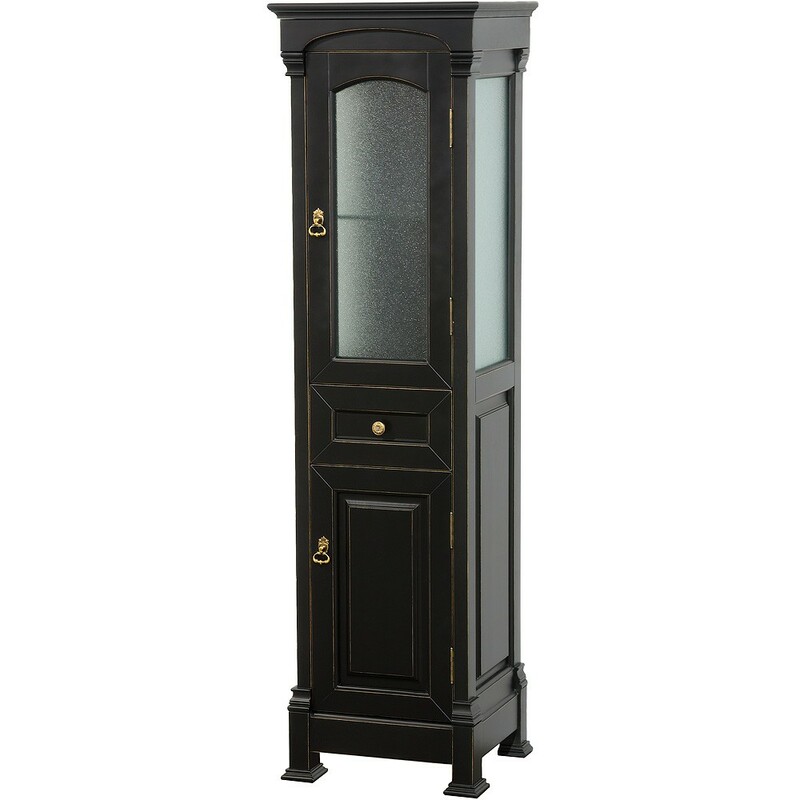 It is finished in a deep Black finish and is adorned with Antique Brass hardware. 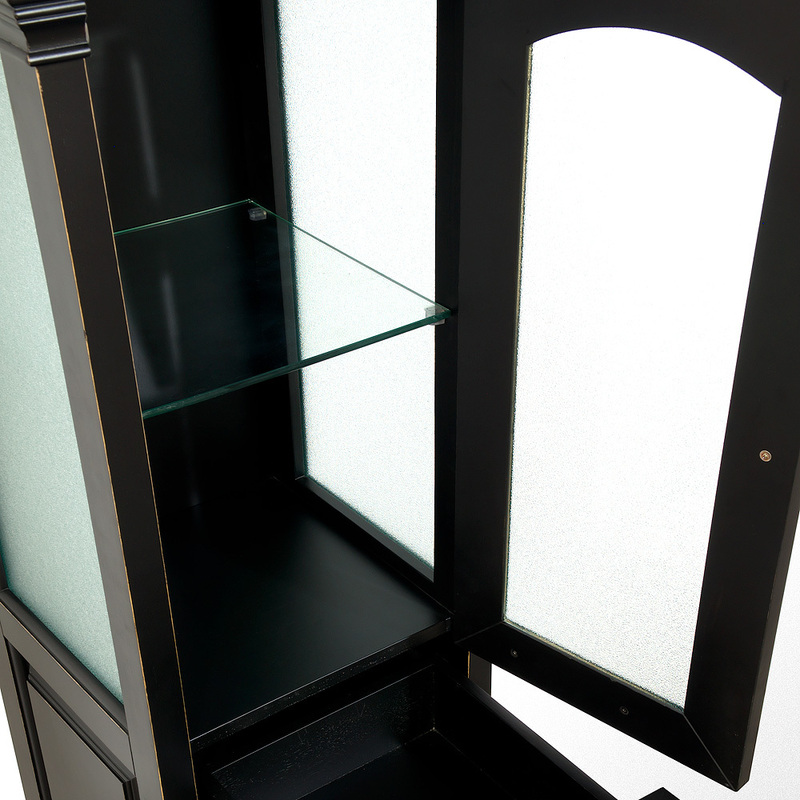 Perfect for matching with our Andover Vanity Collection.